by Brianna Crandall — September 14, 2018 — Of interest to facilities managers (FMs) in need of top-notch design for their corporate, education or healthcare campus grounds, the American Society of Landscape Architects (ASLA), a 15,000-member group dedicated to sustainability, green infrastructure and resilient development, recently announced the 25 winners of the ASLA 2018 Professional Awards. 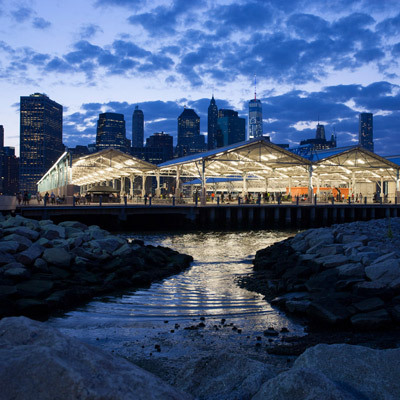 Selected from 368 entries, the awards recognize the best of landscape architecture in the General Design, Analysis and Planning, Communications, Research and Residential Design categories from the United States and around the world. The following is a partial list of 2018 Professional Award winners in each category. Winning projects are designated as either an Honor Award or an Award of Excellence, which is the highest possible distinction. Longwood Gardens Main Fountain Garden, Kennett Square, PA, by West 8 Urban Design & Landscape Architecture (Rotterdam, Netherlands) for Longwood Gardens Inc. The winners will receive their awards at the ASLA 2018 Annual Meeting and Expo in Philadelphia on October 22. The September issue of Landscape Architecture Magazine (LAM) features the winning projects and is available for free download . The complete list of the ASLA 2018 Professional Awards, in addition to award criteria, project information and images, is available on the ASLA website. Orkin reveals Top 50 Bed Bug Cities list — office buildings aren’t immune to these pests January 25, 2019 In "Surveys and Trends"
If your company is looking for more space, see which cities show more new commercial construction starts August 22, 2018 In "Surveys and Trends"